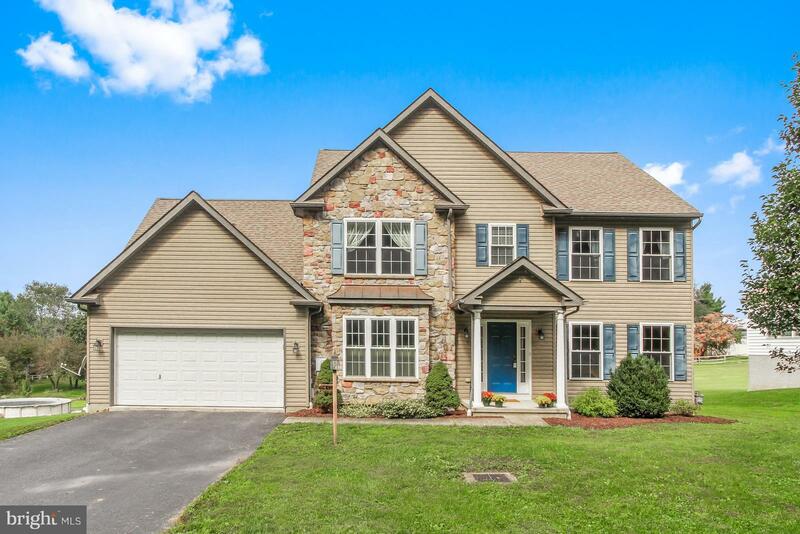 This incredible open floor plan custom built colonial home is going to wow you as soon as you pull up in the driveway. With over 3,000 square feet and lots of storage, you will find yourself loving every inch of this home. Open the front door and you will be greeted by gleaming hardwood floors on this level, an office/ or formal living room, separate dining room and a generous sized kitchen with island seating. The family room has a gas fireplace and is a great area for the whole gang to hang out. First floor laundry completes the main level. Second floor boasts 4 bedrooms and 2 baths. Large Master bedroom with ensuite and massive walk in closet with another "hidden gem" bonus room. All bedrooms are spacious with large closets. Lower level is another 1,000+ sq ft. with walk out just waiting for your finishing touches. Freshly stained deck and awesome level back yard for entertaining. This house is waiting for you to call it your HOME. © 2019 Bright MLS. All rights reserved. Information Deemed Reliable, but Not Guaranteed. Listing information is from various brokers who participate in IDX and not all listings may be visible on the site. The property information being provided is for consumers personal, non-commercial use and may not be used for any purpose other than to identify prospective properties consumers may be interested in purchasing. Listing courtesy of Howard Hanna Real Estate Services-Shrewsbury. Data last updated on Thursday, April 25th, 2019 03:28:04 PM.